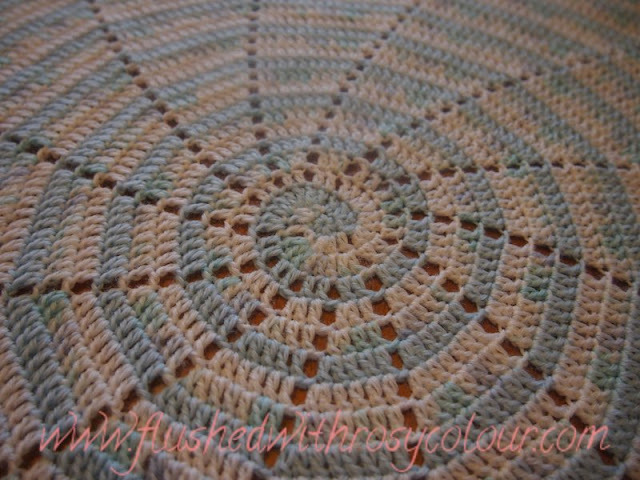 I really like the look of spiral crochet, its a far cry from your simple granny square! In fact I've now decided I don't like the look of granny squares! I've been trying spirals since April, and I've learned a few things. Firstly, the multiple balls of yarn can easily get tangled, so you need some system to keep them in order. Also, its not a quick project like other rugs, where you can just pick it up and quickly continue from where you left off. 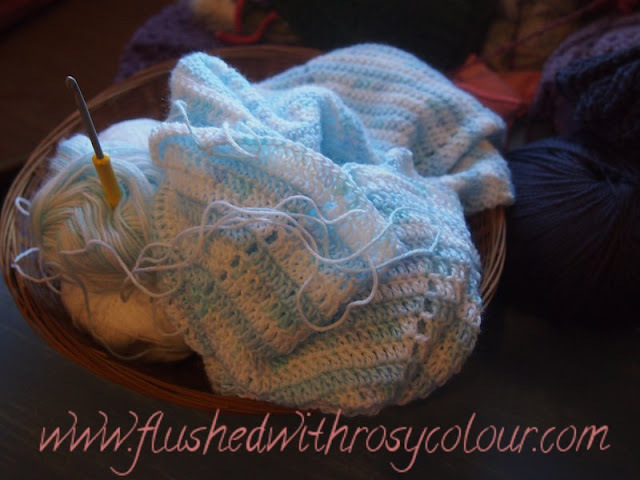 Its takes a few moments to find your place and the yarn you are up to. Another important lesson I learnt from my earliest attempt at a spiral is that the larger the spiral becomes, the more and more tedious the counting of increases become. 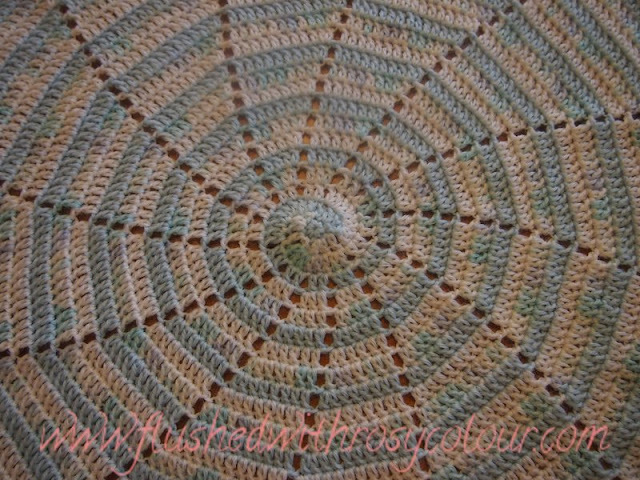 So from then on I've decided all my spirals will have a chain space or a cable to indicate the increase. This way you don't have to count stitches. One other thing of course is that this is a project impossible to do while Thomas is around, I have to wait until he is asleep. 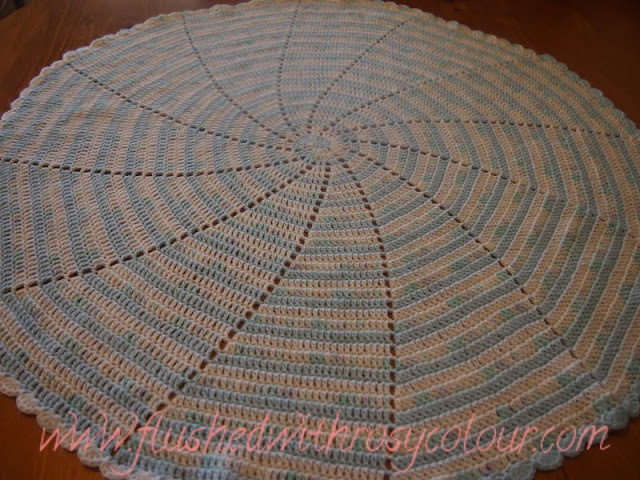 For this blue with white spiral bunny rug I've made for a friend, I used a 3.5mm hook and Australian made 4 ply acrylic yarn from Patons in blue, white and a variegated white with flecks of blue in it. Because I used the smaller hook and yarn, it took many hours to complete this almost 80cm diameter rug which weighs about 160 grams. Before blocking, this bunny rug had a buckle in the centre where it didn't sit flat. It might have been because of that first round of 6 sc, because to be flat it should start with 12 dc or 6 sc then a 2nd round of 12 sc. I was nervous about steam blocking it, I was worried I would melt the acrylic yarn. But I put my iron on low synthetic heat and ironed it on the back side. It blocked quite nicely, even after a cool wash it held its new shape. This is one of the few things I've made for a custom order, its very exciting for me. I'm happy with how it turned out. 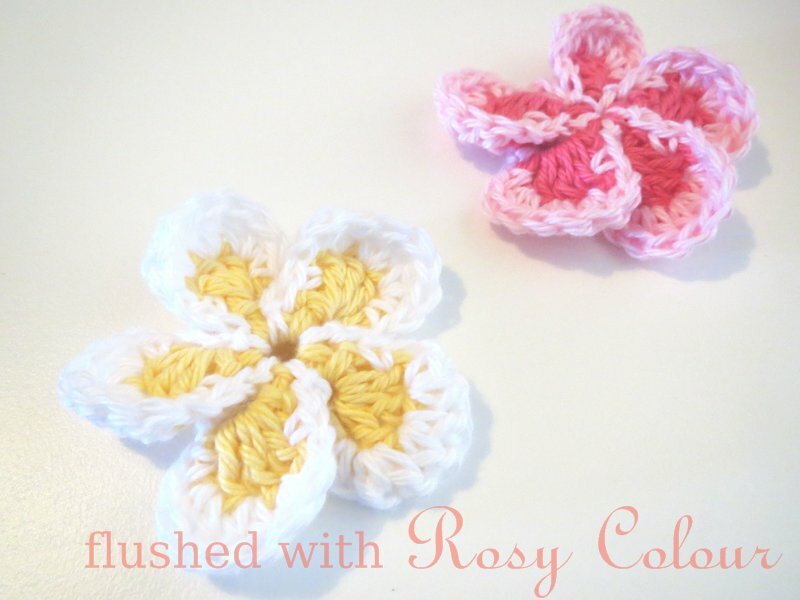 I want to make more of these in different colours, I'm thinking merino wool will be nicer!